Jonesboro (AR), USA – If a dust collector handles combustible dust, the US National Fire Protection Association (NFPA) requires operators to equip the system with deflagration protection. For such applications Camfil APC offers the Stinger™ explosion isolation valve, a cost-effective, NFPA-compliant way to contain a deflagration that occurs in a dust collector. Stinger Explosion Isolation Valves isolate dust collector explosions, preventing the explosion from traveling back through the inlet pipe into the workspace. 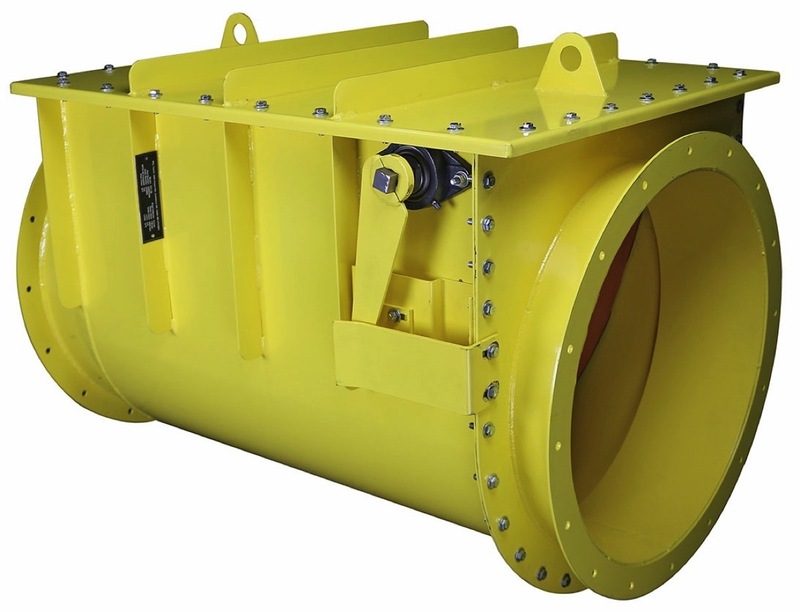 The flow-activated valve prevents an explosion, smoke, dust and burning debris from traveling back through the dust collector’s inlet pipe and into the workspace. It is thoroughly explosion tested and is designed and tested to meet NFPA & EN 1779 standards for a range of applications and dust types.